This week we are taken back to Stellenbosch for a striated sky above the Ou Hoofgebou (Old Main Building). 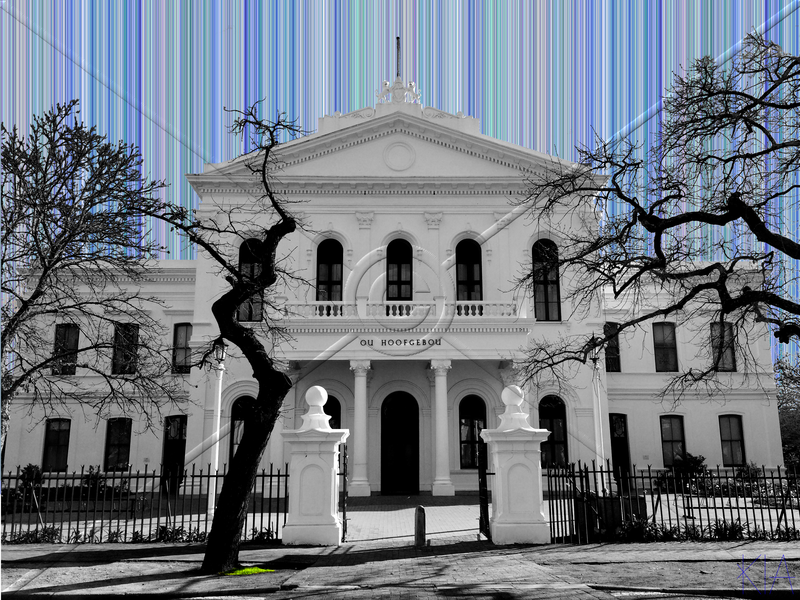 The building which is on Ryneveld street, Stellenbosch University Campus was built between 1880 and 1886. The building was designed by Carl Otto Hager. In 1964 the side wings were extended and the west wing added. The building was declared a national monument in 1979. Carl Otto Hager was born and raised in Germany. We came out to South Africa in December 1838. Mr Hager who studied art/architecture in Germany worked at a portraitist, a tobaconist, photographer and only late in life did he make a success as an architect focussing on church buildings. For more information on Carl Otto Hager click here and here. This building is absolutely stunning and is one of many national monuments that can be found in Stellenbosch. When you take your trip to Stellenbosch be sure to visit this building.